Marketing Implementation Clinic offers a range of services relating to the gathering and analysis of lead behaviour in order to assess where a lead is positioned within the sales lifecycle. 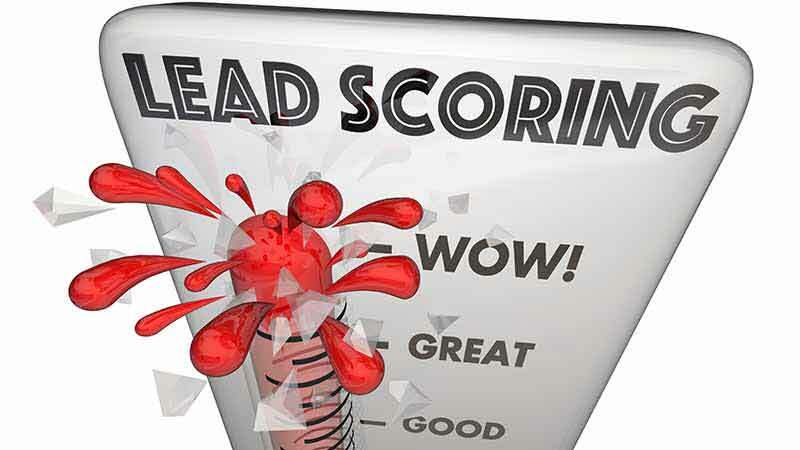 By ‘Lead Scoring’ your leads and customers, you’re able to compile information on their behaviour across different channels, which can in turn trigger automated sequences of emails, advertising campaigns, or prompt sales staff to take manual actions like making a phone call. Strategies like these often have a dramatic affect on your Revenue as you are able to identify and influence website visitors who are in the ‘buy zone’. Not only that, but the actions you take can be personalised as you now have a thorough understanding of the website visitor. By identifying such customers you are able to intervene and help them through any problems or obstacles they may have. Every action on a website can be tracked and stored against the leads name. All this happens behind the scenes without the lead having to identify themselves. The website tracking data can be combined with past ordering patterns, the size of the company the visitor works for, or any other offline intelligence you may have that you consider relevant. By segmenting your lead list in this way you are able to profile, and focus on your best leads and customers and make sure they receive the attention they require.